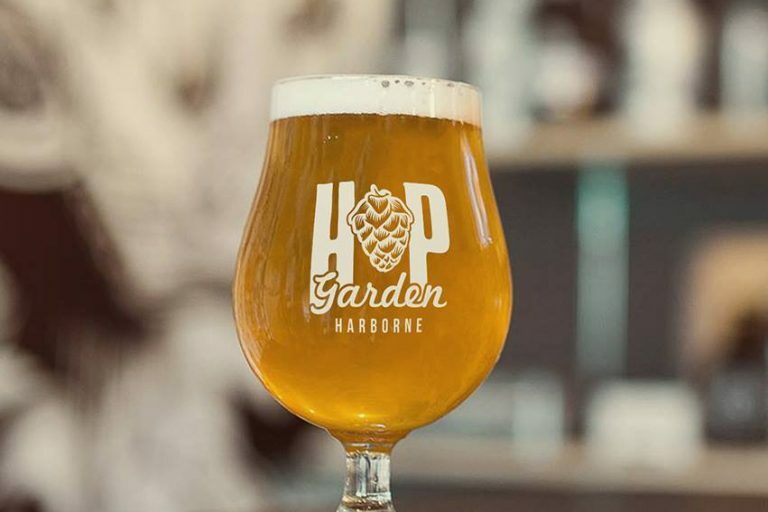 Fixed Wheel’s head brewer is a semi-pro cyclist, with a couple of wins under his belt as well as a passion for brewing. 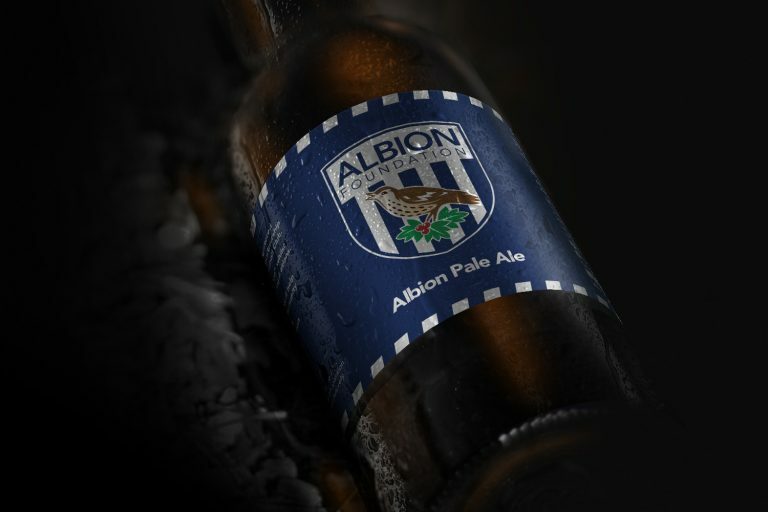 He produces exceptional beers brewed traditionally with a touch of craft. 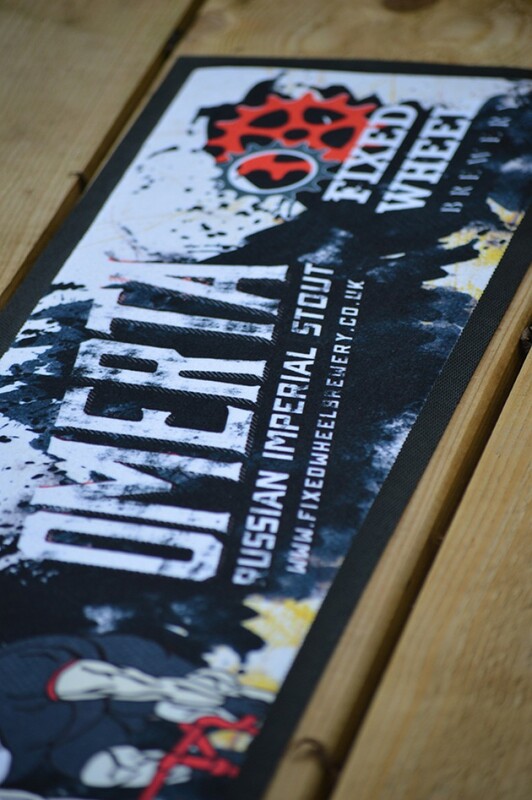 We helped him design a new label for this great tasting Russian Imperial Stout ‘Omerta’. Omerta, is the Mafia’s code of silence and family honour. In the world of cycling it has another meaning: the code of silence of the professional riders of the peloton that protects doping cyclists. No one talks or speaks of the cheats. 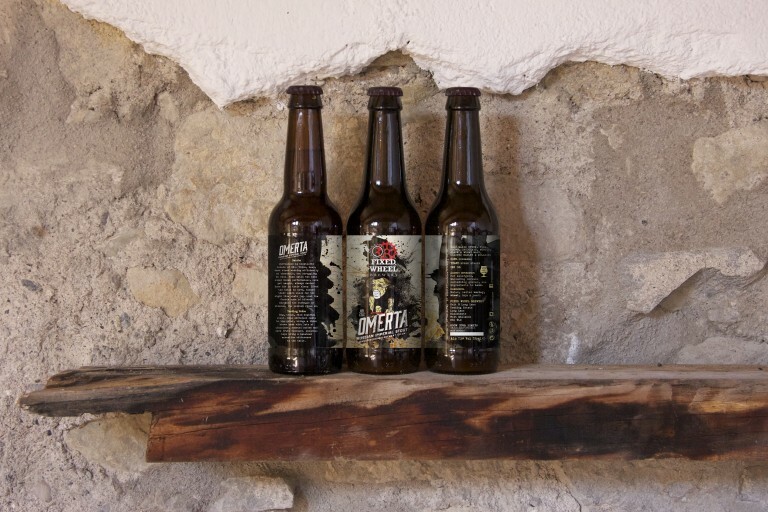 We created the character of a doping cyclist: his veins denote the dark Russian Imperial Stout and his lifeless eyes are those of a zombie. 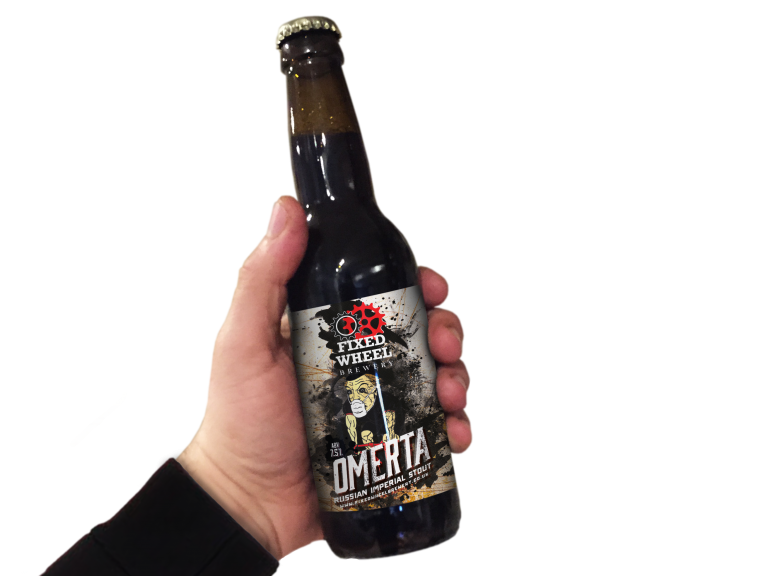 Omerta exists in both cask and bottle. 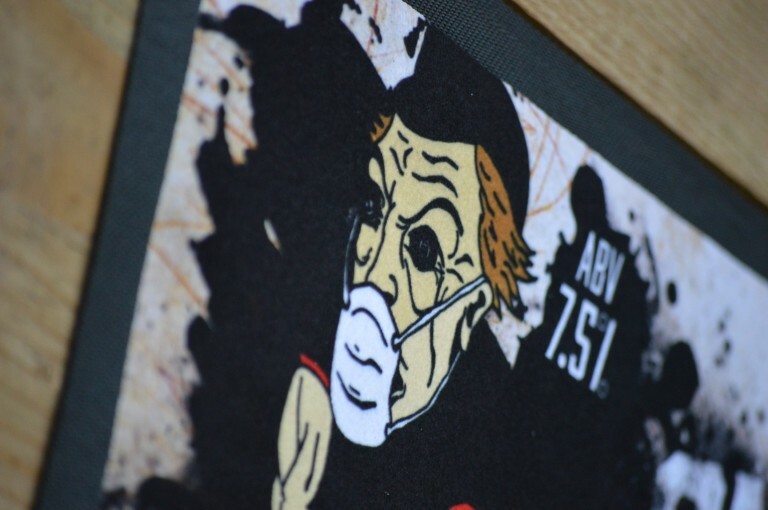 We also produced and transposed the cask graphic onto a bar runner. 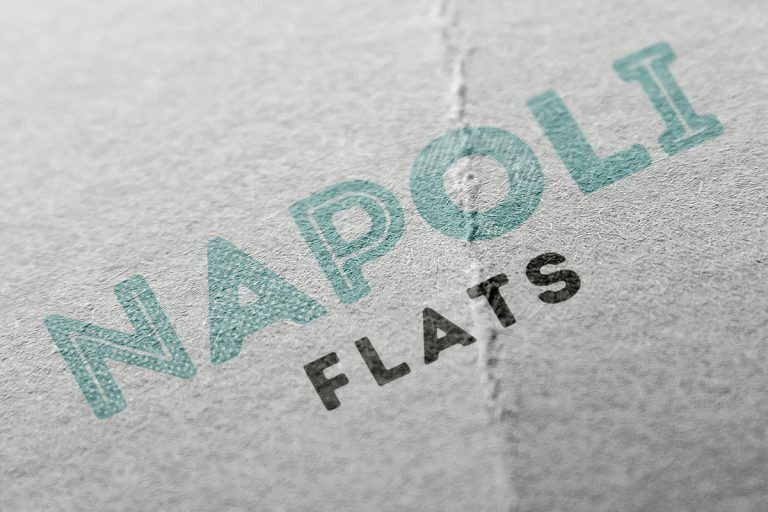 Runners are a great way to build brand awareness.